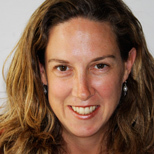 Melanie Warner is a freelance business journalist who writes about the food industry. Her book on processed food, Pandora’s Lunchbox, will be published by Scribner in February 2013. She has worked as a reporter for the New York Times, a senior writer at Fortune magazine and a blogger for CBSNews.com. Melanie lives in Boulder, Colo., with her husband and two young boys.